Keynvor MorLift (KML), the industrial marine contractor, has snapped up Falmouth Wharves. 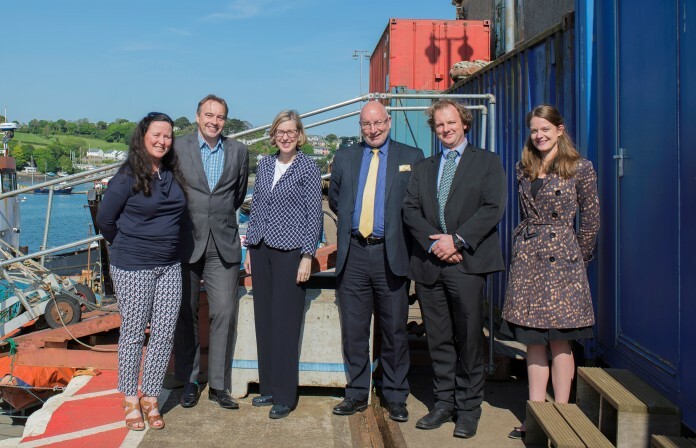 The acquisition plays an important role in KML’s expansion plans which will see up to 39 new jobs created and will ensure that the Wharves retains its historic, commercial maritime use for the future. Keynvor MorLift, which is Cornish for ocean sea lift, was a tenant at the Wharves prior to the purchase. MD, Diccon Rogers, said: “This acquisition is an important and exciting step forward for KML in providing long-term focus to our operations – for the first time we will benefit from bringing our teams together and making Falmouth our headquarters. KML will begin a phased re-development of the maritime site. The long-term vision is to create a hub of specialist, commercial marine businesses whose skills complement one another and who can work together to deploy contracts locally, nationally and overseas. KML’s purchase is also important for Falmouth Wharves itself. “There is a long list of commercial wharves and docks around the UK lost to residential and leisure development, to siltation, demolition, and infilling, or simply to plain neglect and abandonment,” added Rogers. “Many will recall how close the Wharves have come in the past to joining that list. We are now delighted to be redressing the balance in our own way, and we are planning phases of long-term repairs and improvements to the Wharves and its buildings. Falmouth Wharves will be firmly on the map for commercial marine operations. The purchase was made possible by the support of a capital grant from the Cornwall Marine Capital Fund – a Regional Growth Fund delegated grant programme managed by Cornwall Marine Network (CMN).